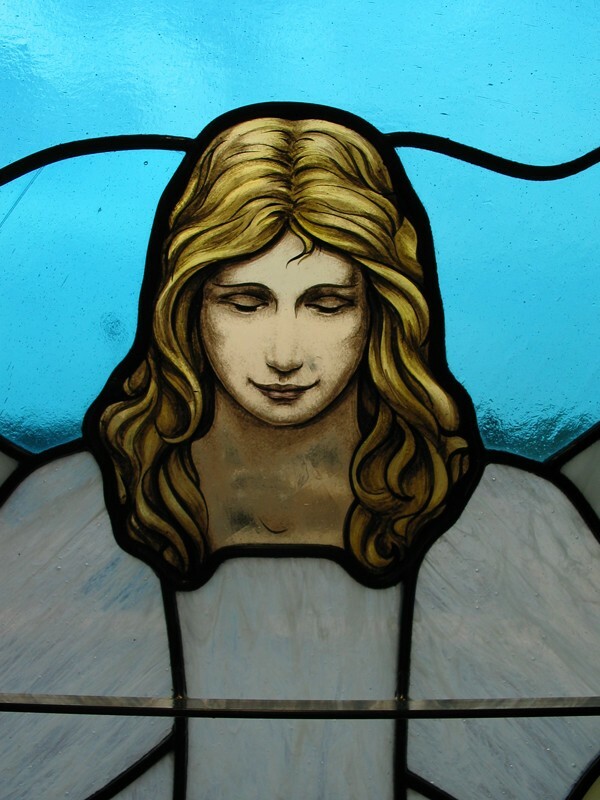 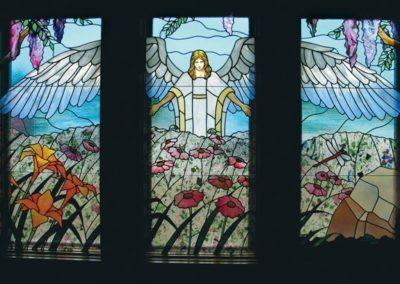 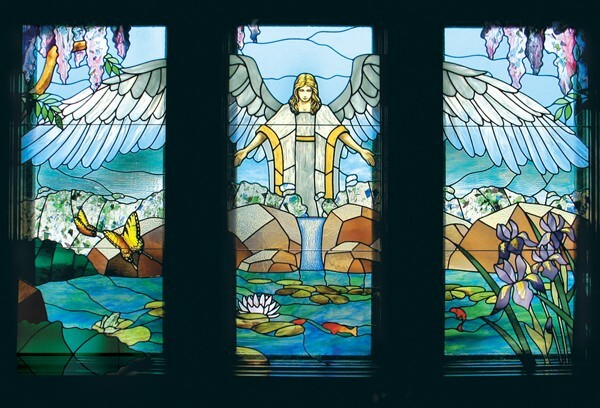 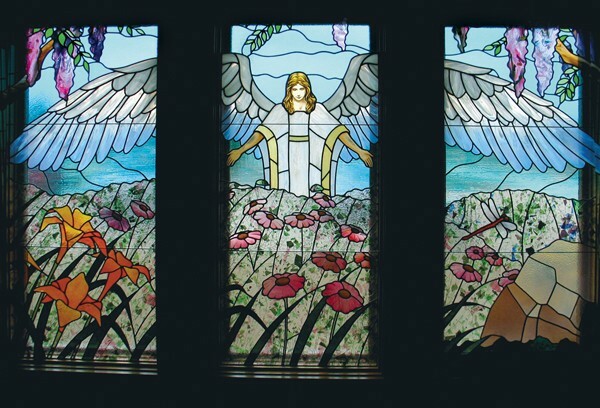 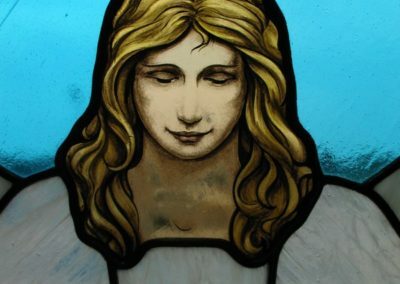 To design two 5′ x 8.5′ stained glass scenes that would provide comforting imagery with angels and elements of nature for the chapel of the newly constructed AngelsGrace Hospice care facility in Oconomowoc, Wisconsin. 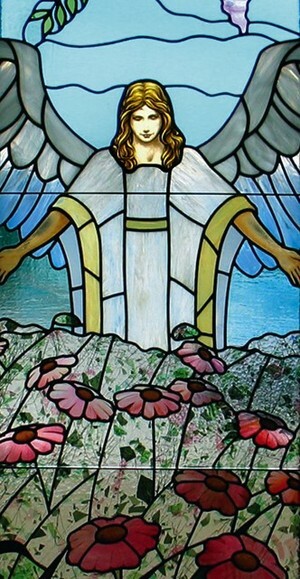 Angels in poses that also evoke the image of Mother Nature stand in serene natural settings with fields, ponds, flowers and blue skies that create a soothing and uplifting atmosphere. 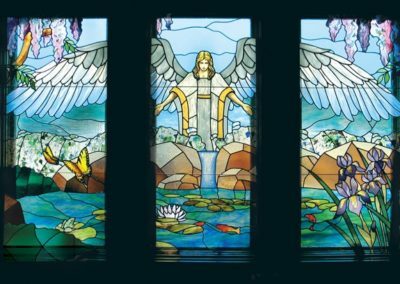 The original stained glass designs feature a variety of glass types, including opalescent, confetti and acid-etched flashed glass.